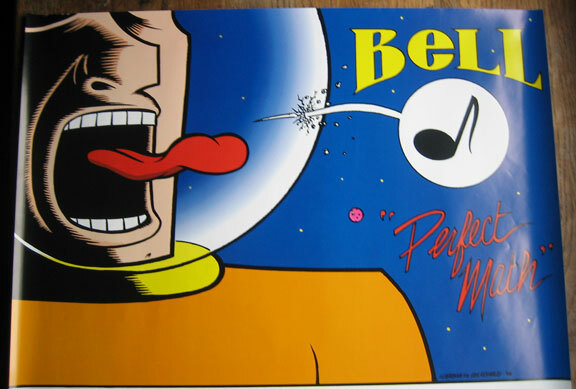 Promotional poster for Seattle band BELL's "Perfect Math" LP. Offset, four-color on thin glossy paper. Signed. Measures about 18" x 24". Circa 1996.